Simple treats, served family style, still tug at our hearts. A childhood favorite is lemon sponge pudding, basic ingredients combine to create a lightly baked pudding that yields a soft crust with a creamy lemon filling. A bounty of Meyer lemons, gifts from friends, led me to an early morning juicing spree in the studio and to create the pudding using this charming citrus that carries both the essence of a lemon and an orange. A topping of fresh blueberries, for a tart burst, and a light dusting of confectioner’s sugar complete the dish. COOK’S NOTES: Bake the pudding in a baking vessel with a 6-cup capacity. You may need to adjust the baking time depending on the size and depth of the baking dish you use – a deeper baking dish may require a bit longer baking time. Regular lemons of course may be used instead of Meyers. To make a lemon sponge pie, pour the lemon filling in a 9-in pie shell, bake at 450 degrees for 8 minutes, then reduce the heat to 325-350 degrees and bake for 25 minutes, or until set. 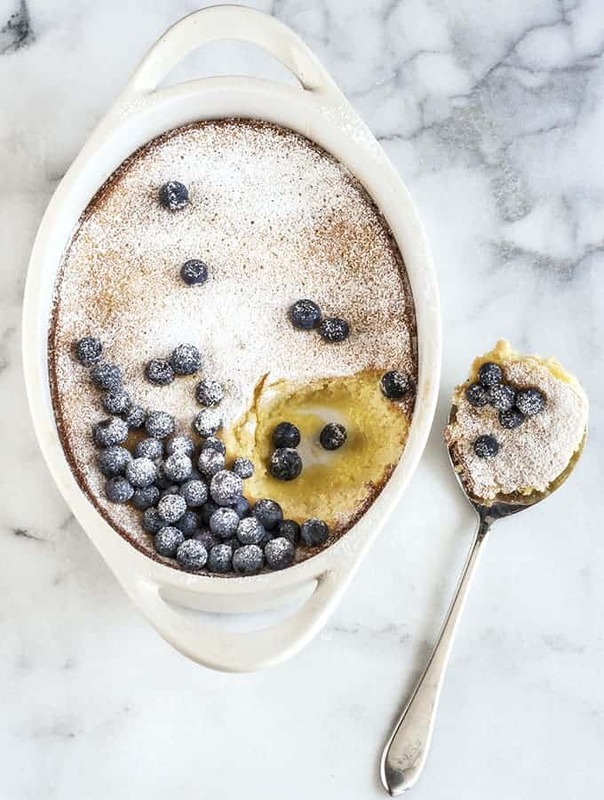 Meyer Lemon Pudding with Blueberries, everyday comfort from Bijouxs Recipe Collection. Aloha Greg! Oh, how I miss Hawaii:) Let me know if you dream up an island version of this pudding, I know it will be fantastic. Mahalo from Bijouxs. Oh yum your pudding sounds so delicious, I love lemon and blueberries together! Your photos are absolutely gorgeous too! Hi Rosie! Well, I think this one is for you at the Blueberry Kitchen! Enjoy and great to hear from you. I have made this delicious pudding this evening. It looked wonderful and tasted delicious, but I just wanted to ask if it should be quite sticky at the bottom? It wasn’t wet or running just more sticky! Thanks. Hi Victoria! 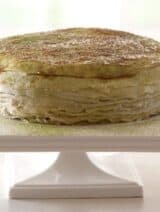 Yes, the pudding develops two distinct layers: the top layer is a light, airy sponge and the bottom layer is a more dense, lemony custard – I hoped to show a hint of that in the photo – sounds like your pudding came out perfect! So happy you enjoyed it and thanks for writing in and sharing. Enjoy! Wonderful. Thanks for getting back to me. I love the pudding (a bit too much actually). My kids are finding it a bit too lemony so maybe I’ll cut back on a little lemon zest next time. 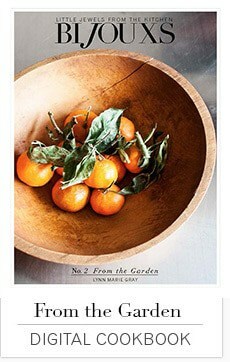 PS – I love your food styling photogaphy and recipes. Really great to hear from you! 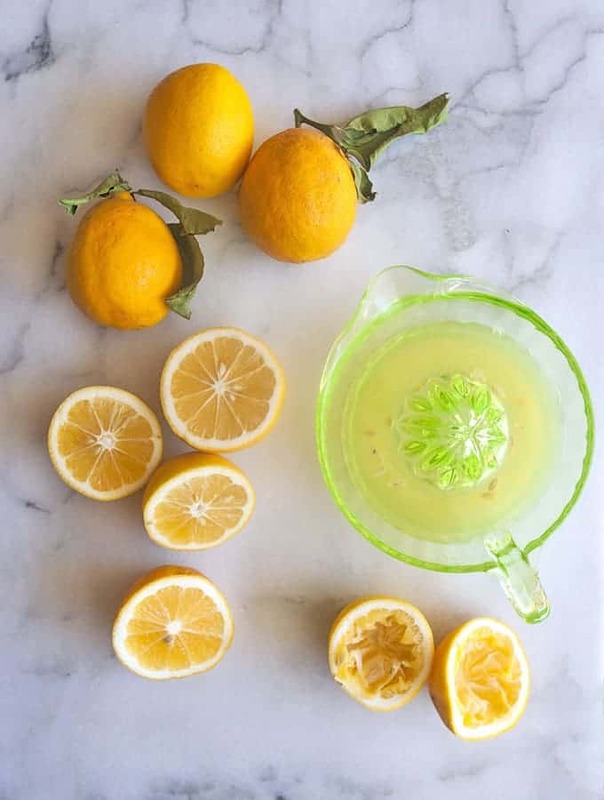 I also have found that when using regular lemons the zest may sometimes be bitter, varying from lemon to lemon – I like to taste the zest to check for bitterness – I try to taste every fresh ingredient, esp. produce, before I add it the recipe, in case I need to make adjustments. Best to you & your family. Hi! I am super confused. I clicked the recipe card and I see that it calls for 1/4 cup of milk, however, I don’t see the milk included anywhere in the instructions. Where is this used? Or when is this used? Hi Cami! So sorry! You are the first person to spot the omission of the milk in the directions, thank you so much for writing! You add the milk along with the egg yolks, lemon juice and zest and then fold in the whites. Wow, no matter how many times you read things somethings slips by. I updated the recipe card:) Thank you again! Would you recommend serving this warm, room temp., or cold? Hello Camille! I like this dessert served still just slightly warm out of the oven. If I bake it a day ahead, I cool pudding after baking, cover and refrigerate. Then I bring it back to room temperature and finally garnish with the blueberries and confectioner’s sugar. Hope this is helpful. Thanks for writing in and wishing you a happy holiday weekend! This is absolutely divine! Instead of the cup of sugar, I used 1/4 cup sugar and 1/4 cup mild agave, and it came out exactly as you described it should. Thank you for the recipe! Thank you for this little jewel. 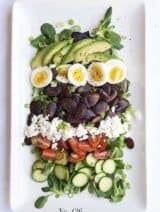 It’s super delish and also makes a beautiful presentation as well! I’ve made it twice in the last week. So… glad I found you!!! Thank you Kirsten! I’m so happy that you have been enjoying the dish, sharing the little kitchen jewels is what Bijouxs is all about. Wonderful to hear from you! 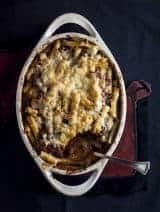 I made this recipe tonight and it was Delicious! I didn’t have any milk left, so I ended up using cream. Came out awesome! Love the tang! Thank you for sharing! Hi Jenny! So happy you enjoyed the pudding and thanks for sharing your great idea to substitute the cream for milk. Enjoy! It looks beautiful! If we can’t get hold of Meyer lemons (I live in South Africa), could we add a dash of fresh orange juice / rind to achieve the same flavour? Hi Caterina and welcome to Bijouxs! Yes, you are right for adding a bit of orange juice as a substitute for Meyer Lemons. Meyer lemons are a cross between a standard lemon & an orange, so make your own “Meyer” lemon juice by adding a bit of orange juice to regular lemon juice for the added sweetness, then measure and use in the recipe. I would just use the rind from the lemons, I’m not sure it if would affect the color of the pudding. Great to hear from you and enjoy. Looks like you have the recipe listed twice in the recipe card. Just FYI. Looks delish. Thank you so much for letting me know…sorry about the duplication on the recipe card! Enjoy! This looks delish! I love all things Meyer Lemon and Blueberries so this is calling my name! Hello Serena! 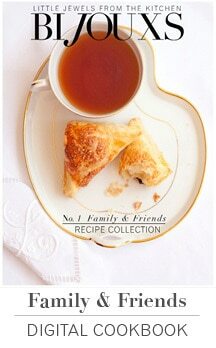 I’m with you–luv all things Meyer & blueberry–you will find many recipes on Bijouxs containing both my favs. Enjoy and good to hear from you! First time visitor here. Looks great but I have a question: garnish with the blueberries. How many? Just what we like? What quantity? Welcome to Bijouxs! I usually pick up a pint of fresh blueberries (or use some frozen blueberries defrosted & drained) and let guest spoon berries to their liking on top of the pudding. Also, really good blueberry preserves work nicely too. Enjoy! I wanted to try out the lemon sponge pie variation of the recipe and just wanted to double check that I would be using an unbaked pie shell. Thanks! This looks delicious and I can’t wait to see how it comes out! Hi Erin! Yes, use an unbaked pie shell. Thank you so much for asking and I have updated the recipe card. Enjoy. I am confused. I have to bake this pudding twice? You have directions for baking the pudding and and sponge top. If I want the sponge top I should follow the sponge top directions for the oven not the pudding? Hi and sorry for any confusion. No, bake the pudding once as directed for 45 minutes, or until set as directed. IF you would like to bake as a PIE, that is baking using a pie shell, follow the baking directions as noted in the bottom of the COOK’S NOTES section. Enjoy!